We've Moved!! 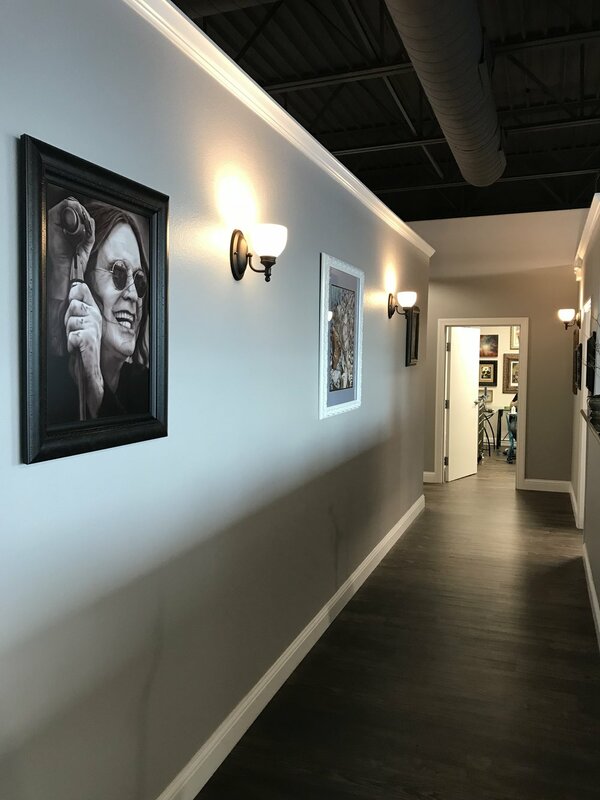 New Rebel Muse Tattoo Studio is NOW OPEN!! 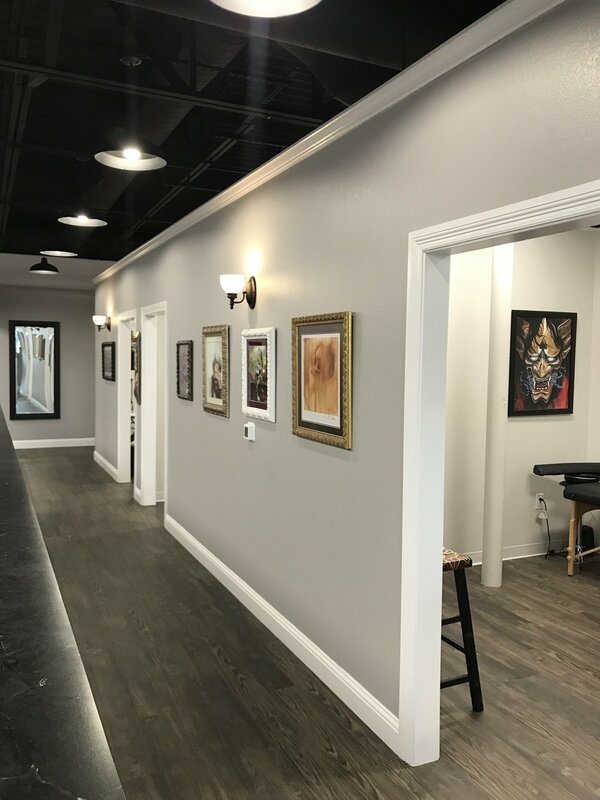 We are officially open now at our new and improved Rebel Muse Tattoo studio location! 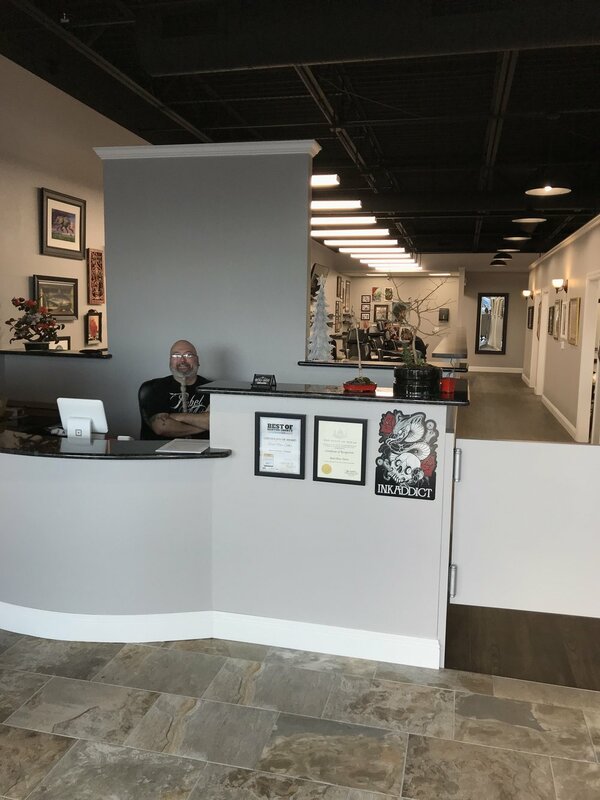 We are only a couple miles down the road from our old shop and are now at 1565 W. Main St., Suite 419 in Lewisville, Tx. We are home to 16 incredibly talented tattoo artists!! Here are a few pictures of the new studio! Posted on December 6, 2017 by David Mushaney and filed under ARTIST, tattooconvention, Tattooartist and tagged tattoo tattooartist tattooshop tattoostudio rebelmuse rebelmusetattoo dallastx dallastattoo dfw davidmushaney. Just wrapped up an awesome weekend tattooing at the Hell City Resurrection Tattoo Expo in Columbus, Ohio! Such a great weekend with great people and some of the industries best tattoo artists!! Looking forward to the next Hell City in Phoenix, Arizona!!! Posted on May 1, 2017 by David Mushaney and filed under Tattooartist, ARTIST, tattooconvention and tagged rebelmuse hell city david mushaney dmtattoos dallas tattoo artist dallas tattoo tattooing tATTOOCONVENTION tattooartist TATTOOER. Posted on March 16, 2017 by David Mushaney and filed under ARTIST, Tattooartist, tattooconvention and tagged tatto tattooing tattooartist dallas tattoo artist rebelmuse tATTOOCONVENTION DAVIDMUSHANEY FLORALTATTOO GEOMETRICTATTOO TATTTOOBLOG TATTOOER TATTOOING DALLASTATTOO EVERGREENTATTOOEXPO TRAVEL BODYART ART BLACKWORK FLOWERS ARTIST.